Style 2: Two 1″ purple stripes at the bottom of the sleeves and a 1″ purple stripe around the bottom. 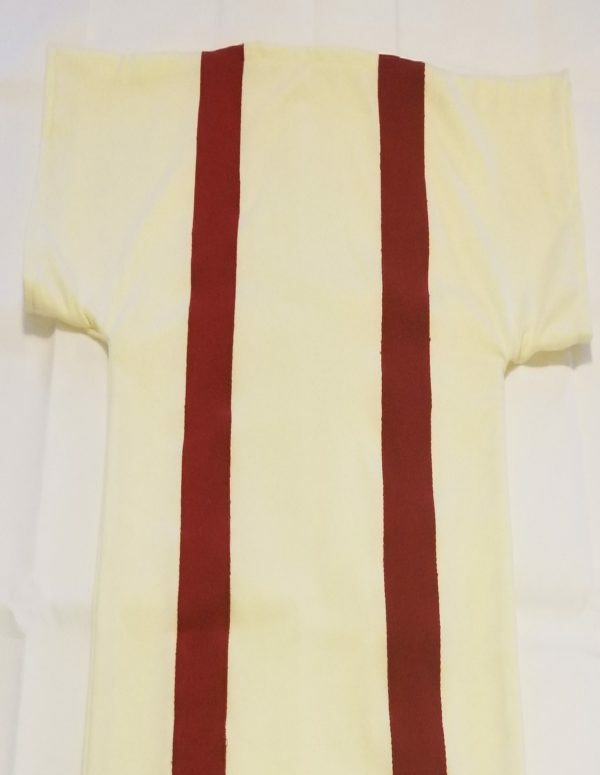 Red Stripes may be substituted for Praetexta tunic. Allow 2 to 3 weeks for delivery.